Adam returned to St. Petersburg with a vision for a church that is deeply committed to loving our neighbors as ourselves. He dreams of a church where everyone knows that they are welcomed, affirmed, and loved. 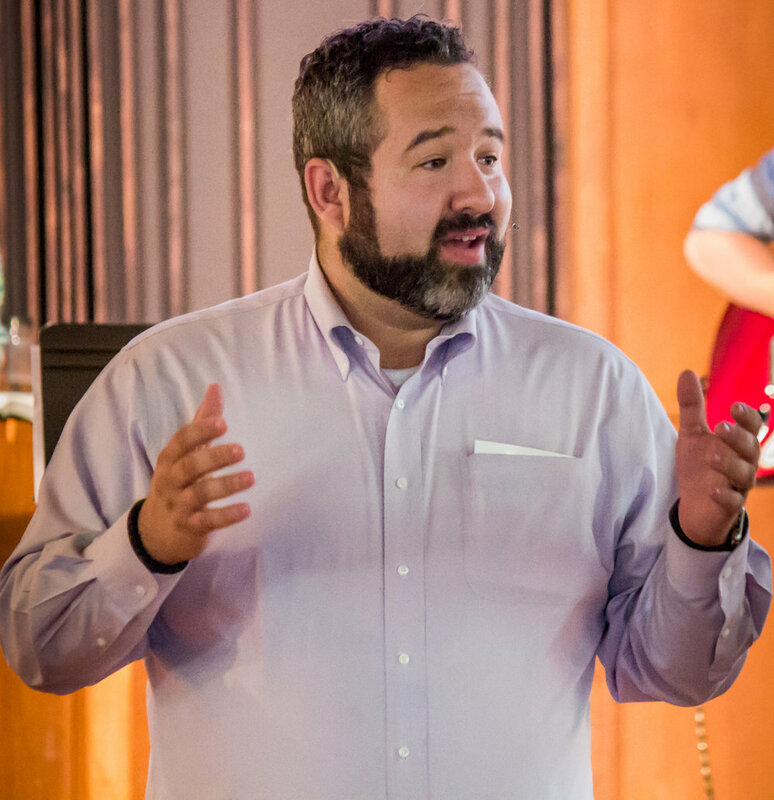 He brings his experience from many years of pastoral ministry in churches both large and small, formal and contemporary, to help Redeeming Church form its unique model of ministry and style of worship. Adam is a graduate of the McAfee School of Theology at Mercer University in Atlanta, holding a Master of Divinity degree. Courtney is stepping into a pastoral role at Redeeming Church, after many years serving in churches that did not recognize the pastoral gifts of women. Courtney assists pastor Adam in the preaching, worship planning, programming, and administration of the church. Geoffrey Scott was born and raised in St. Petersburg. Geoffrey leads us in a relaxed and authentic worship atmosphere, enabling us to focus on God and meditate on spiritual things. Geoffrey is committed to creating an environment where everyone is free to worship no matter where they come from.